For dropping off vehicles outside of our normal operating hours, we invite you to use our after hours drop box. 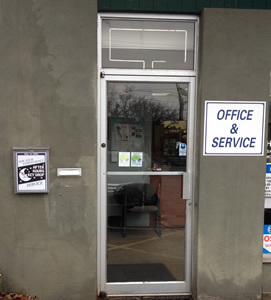 It is conveniently located to the left of our office door. Simply open it, fill out an envelope, secure your key inside, and drop the envelope through the mail slot. If you like, you can download an After Hours Drop Off Form and complete it prior to your arrival. Simply click HERE to download the form. Santos Auto Service Company is happy to recommend two towing services that we have worked with for many years. If you need to tow your vehicle in for service, we would suggest calling them to get it here safely.